There's an animal in every room - our house is a zoo! Animals everywhere in the house - what will Mom do? Young kids and parents will love this hilarious send up of family life. David Wilk is a poet, writer, editor, book publisher, and entrepreneur. He is the father of three grown children and co-proprietor of his own household zoo. His most recent book is "The Archeology of Light," published by Woodland Pattern. Wilk is a graduate of Yale University and has taught creative writing to kids in elementary schools and libraries in many states. 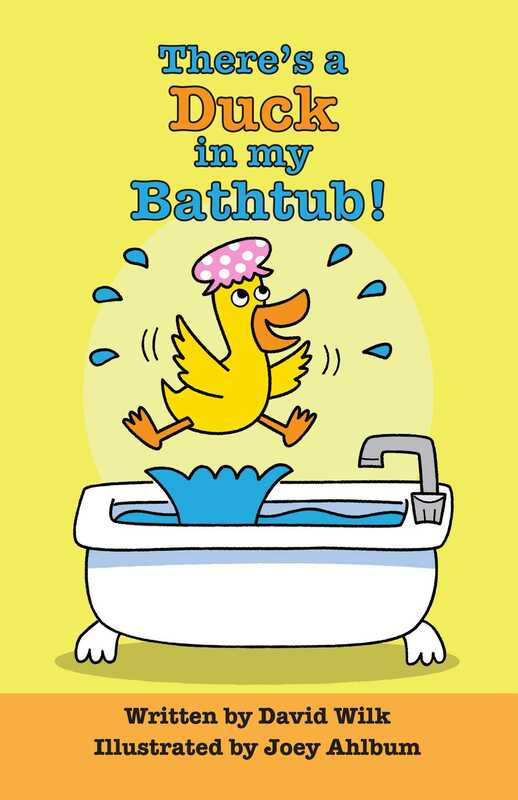 "There's a Duck in my Bathtub" is his first children's book. Joey Ahlbum was born and raised in New York City and Brooklyn. He graduated from the High School of Art and Design and The School of Visual Arts. Joey created the iconic "Doo-Wop Dinos" for Nickelodeon and has done numerous animation projects for Cartoon Network, MTV, Frederator and PBS. He was supervising director on the Emmy award winning "Clifford's Puppy Days" for Scholastic and he created many projects for Sesame Street including nine seasons of "Elmo's World." Joey is the creator of the ebook series "Lucy the Dinosaur" and "Hilly the Hippo" published by Frederator Books. He was content creator for Frederator’s YouTube channel Fredbot. Joey's personal films include his thesis film at SVA called "Bandits!" which toured in a Best of ASIFA series and played in Movies in the Park. "Parade" was shown at the Zagreb Animation Festival, the Museum of Modern Art, and included in a package of short films that toured the U.S. and played at the Film Forum in NYC. Book Cover Image (jpg): There's a Duck in my Bathtub!